Should the CEO manage the corporate social media accounts? As a small business owner, you have likely contemplated the benefits of social media. There are definite advantages to using social media in the business world, but branding your business through such open forums can come with some unique hardships. Primarily, how can you make your social presence worthwhile? After all, if your tweets don’t resonate, and your status updates aren’t shared, is there a point to using the web for branding purposes? While it’s easy to get caught up on what to say via social media, you should also consider who should be the face of your campaigns. While upper management might want to pass off the responsibility to its employees, consumers may respond more regularly to posts from professionals in leadership positions. According to a recent BRANDFog 2012 CEO, Social Media & Leadership Survey, approximately 82 percent of respondents are more likely to trust a business whose top leadership communicates through social media channels. Of course, when business owners are in charge of social media accounts, they open themselves up for some unique situations that will force them to use their best judgment in responding to certain posts. If you find yourself in control of your company’s social presence, there are a few rules you should follow when posting and responding to comments online. The first rule to using social media is making sure you only post when you have something relevant and unique to say. Sharing statuses or retweeting other posts will just clutter the web and make your customers think you don’t have original thoughts of your own. While it’s important to be active on your accounts, don’t post information just to get something out on the table. Additionally, you need to be judicious in how you respond to disgruntled customers. If you feel that a question deserves some additional care and effort, don’t be afraid to forward that person to your customer service desk. Switching the conversation to another medium can often help dissolve immediate pressures. Are you the CEO? It’s time you speak to your clients directly online. 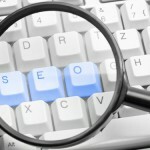 SEM vs. SEO - which offers a long-term strategy?